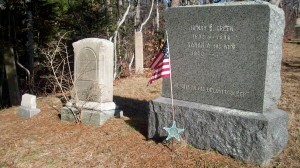 Born: 1830 in Portland Me. 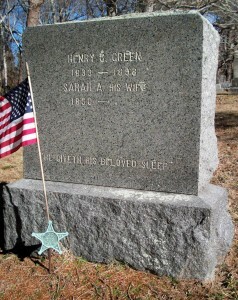 Died: April 13, 1912 in Bourne Ma. at 81 yrs, 4 mos, 13 d.
1. Sadie F. Raymond; (October 13, 1869 – July 1870); Sadie died at 9 mos. & is buried next to her father Sylvanus in Pocasset Cemetery.